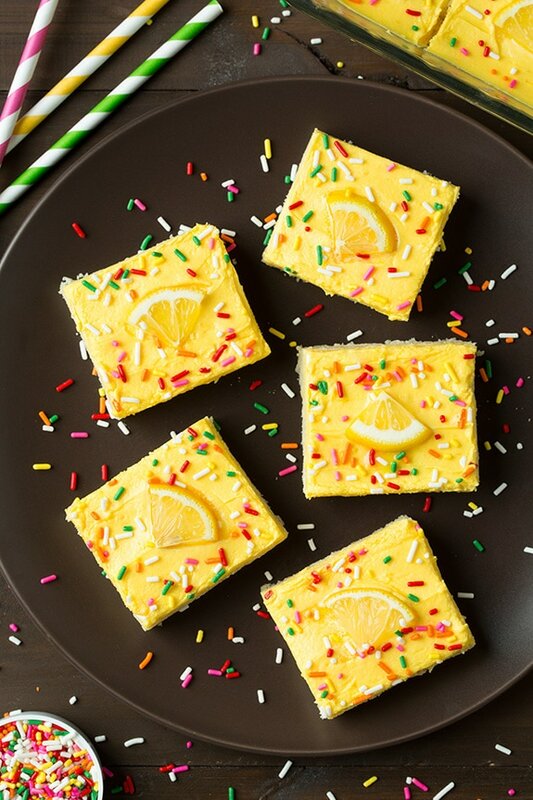 Nothing says summer like a refreshing fresh lemon dessert! 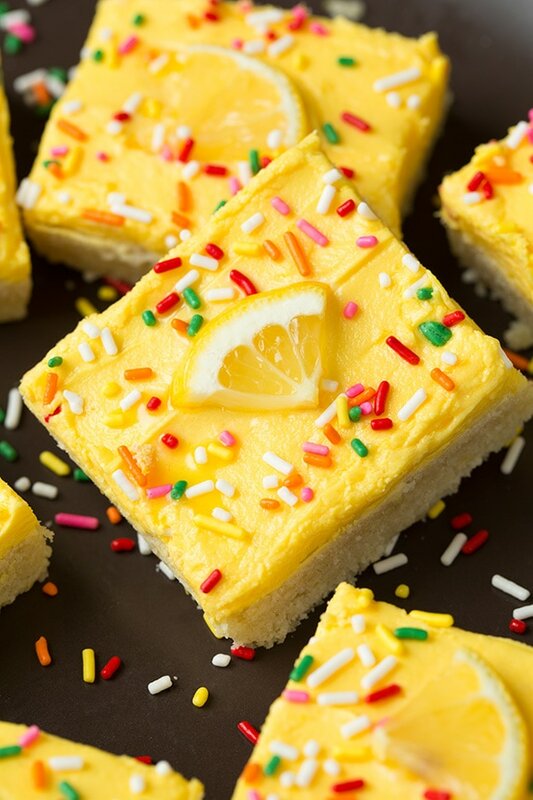 We all know I’m a sugar cookie addict and yes I’ve already posted a lemon sugar cookie but I’m starting to convert to making sugar cookie bars more often because they are easier and they don’t require dough to be chilled, plus they are easier to travel with for parties. I’ve already made these twice and I’m sure I’ll make them many more times this summer. I dare say they are my new favorite summer cookie and they will likely become yours too! 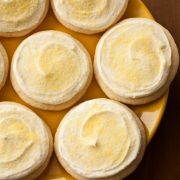 They’re perfect infusion of lemon flavor and melt-in-your-mouth texture is simply dreamy! 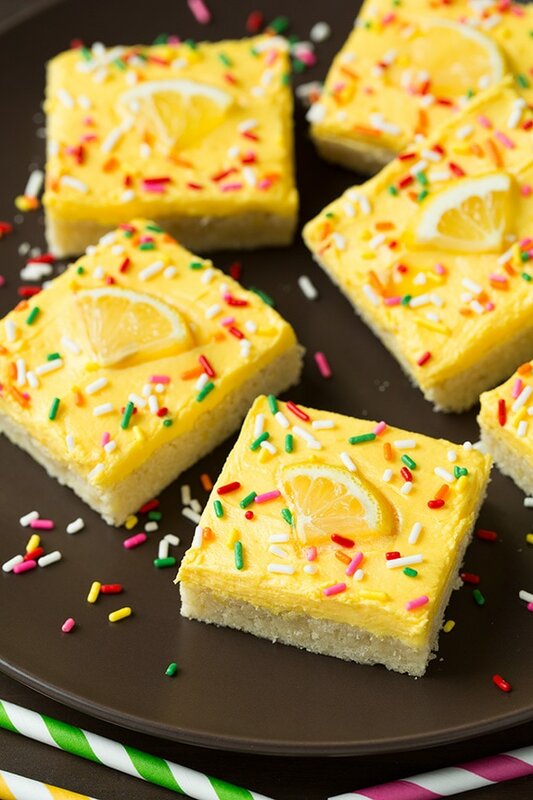 A delicious sugar cookie recipe made in bar form and flavored with bright lemon. 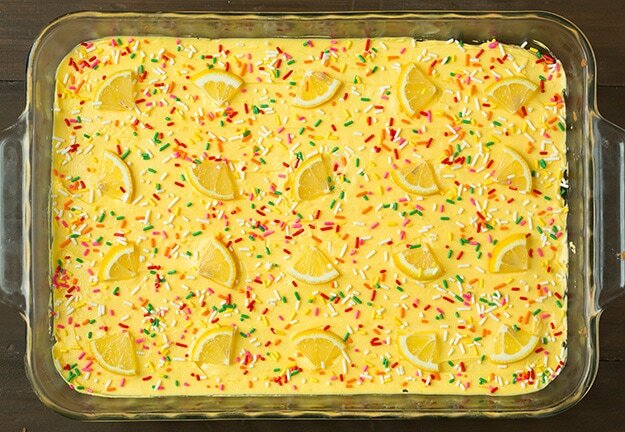 A fun summery treat everyone will enjoy! Preheat oven to 375 degrees. 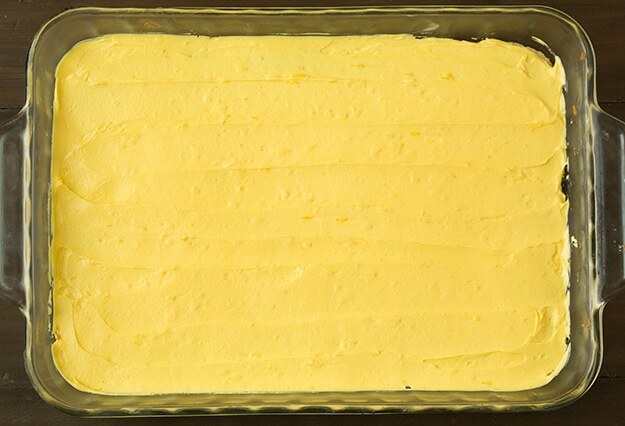 Butter a 13" x 9" baking dish, set aside. 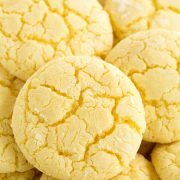 Add sugar and lemon zest to the bowl of an electric stand mixer and with your fingertips rub lemon zest with sugar until sugar is slightly yellow and fragrant. Add butter and whip butter and sugar mixture until pale and fluffy. Stir in egg then egg white. 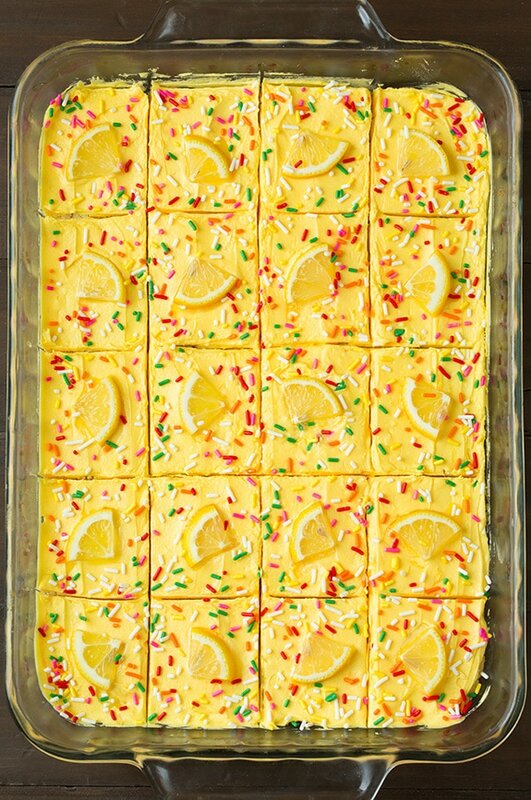 Add sour cream, lemon extract and vanilla extract and mix until combined. Slowly add dry mixture and mix just until combined. Spray hands with non-stick cooking spray or rub with butter and gently press mixture into an even layer prepared baking dish. Bake until toothpick inserted into the center comes out clean and bars are set, about 15 - 16 minutes. 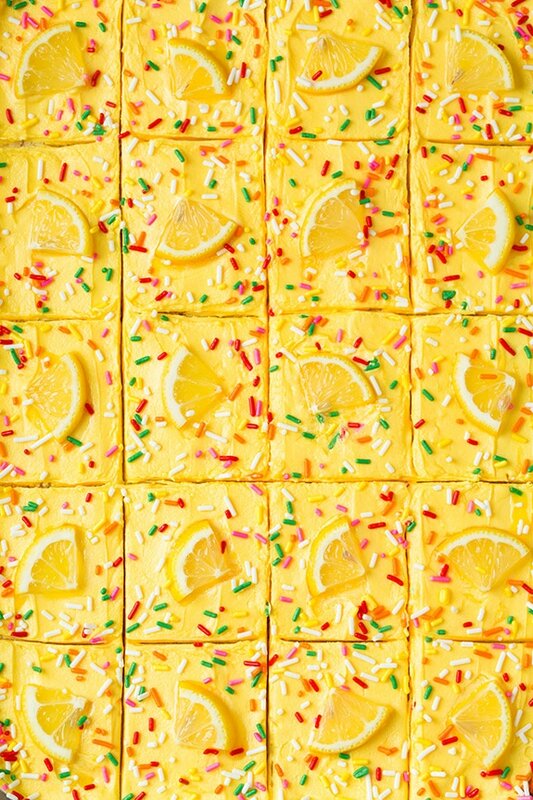 Cool completely, then frost add sprinkles and cut into squares. In the bowl of an electric stand mixer fitted with the paddle attachment, whip butter until light and fluffy. 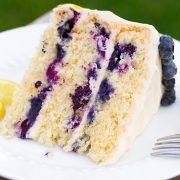 Mix in powdered sugar, lemon zest and lemon juice and mix until light an fluffy. Tint with food coloring if desired. 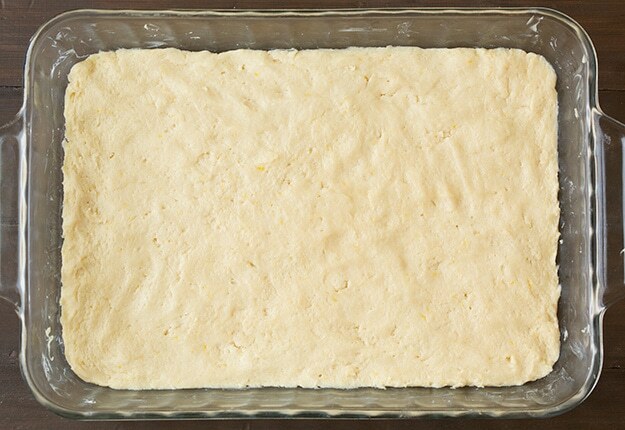 *You want the butter to still be cool, this is so the dough isn't too warm and sticky to work with when pressing into the baking dish. kat: oh so pretty!! hate to cook these days, but you just might turn me around with all the “easies and quickies”!!! 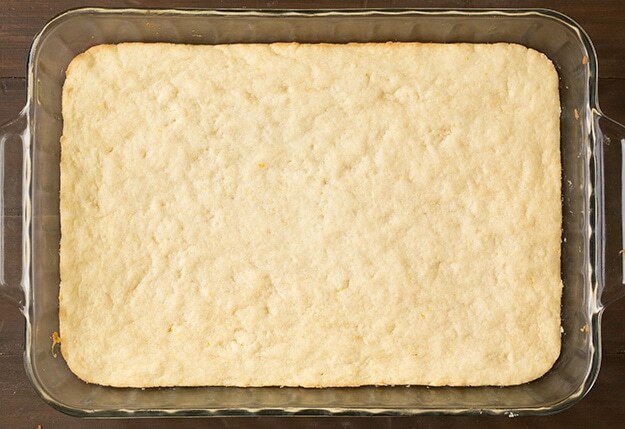 also, could these be made with the rolled sugar cookie dough – if so, would you just let it sit at room temp and squish into the pan? Amanda: How long can these keep? Also, do I only frost them before serving?